*Does not apply to custom design orders. 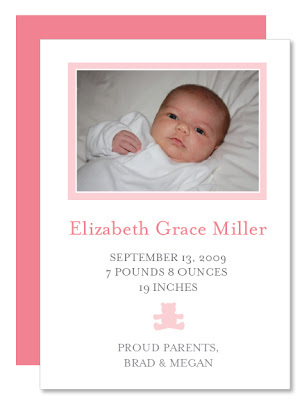 Feature your little one's beautiful face on these precious birth announcements. 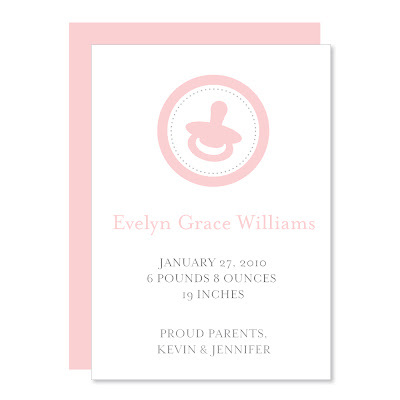 Simple and understated to allow your baby's beauty to steal the show! 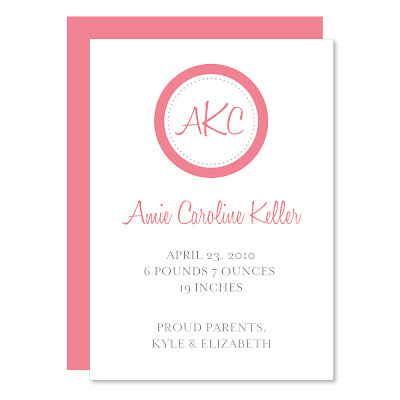 Available as a horizontal or vertical card and in a variety of colors. 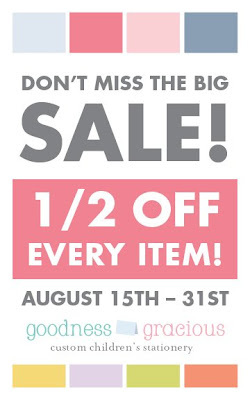 Announce your new little bundle of joy in style! 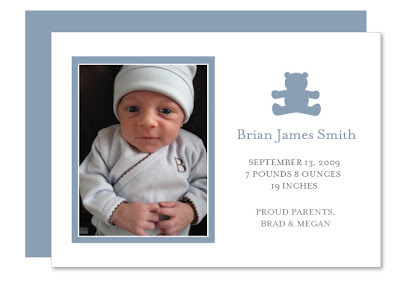 These personalized announcements feature sweet baby toys. 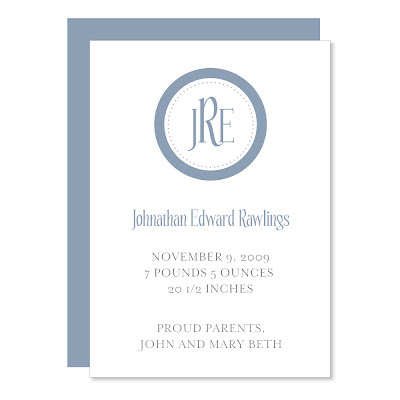 Available in a variety of colors and picture styles. 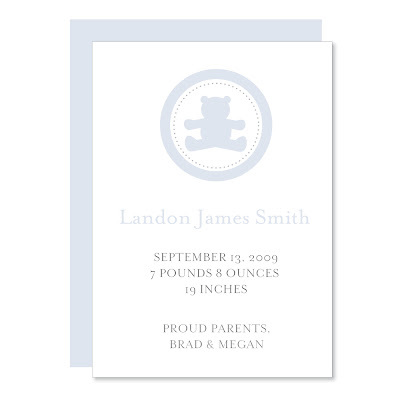 These personalized cards are a great way to announce the arrival of your new little bundle of joy! 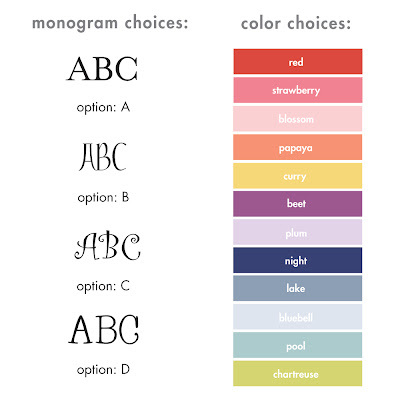 Available in a variety of colors and monogram styles. Running late for a birthday party? Wrapping a present at the last minute? 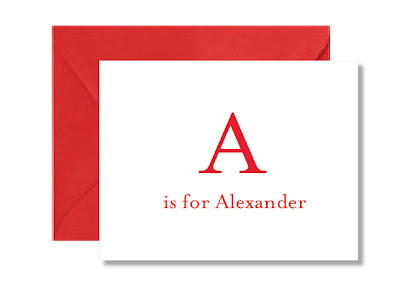 Here's a quick (and cute) way to personalize your child's gift! 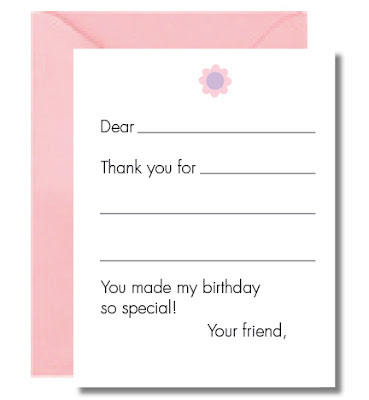 Available in cupcake or party hat options. Either can be adapted for a boy or a girl. 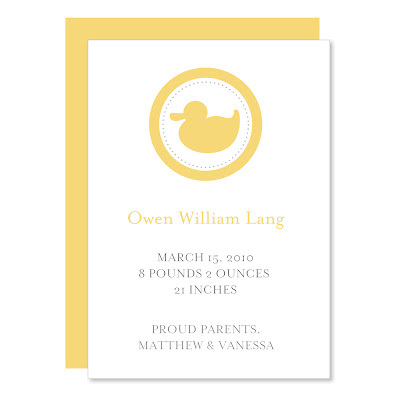 See Enclosure Card pricing. What better way to make writing thank you notes fun, than by giving them a little help and a personalized card they can write all by themselves?! 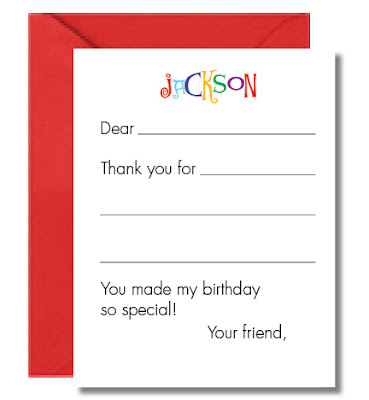 These fill-in-the-blank cards are a great way for your little one to express their thanks. 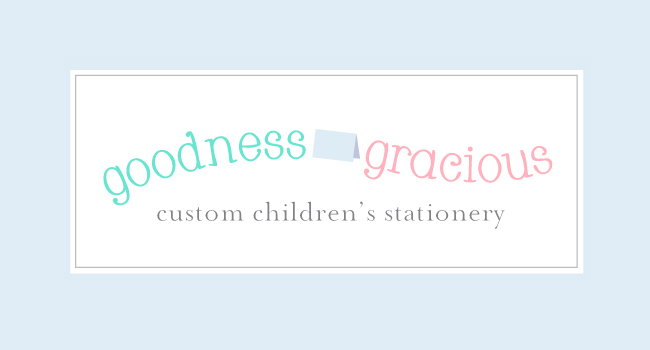 They can be personalized with your child's name or can feature any other designs offered! 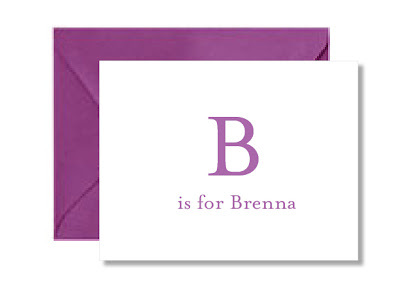 Paired with a coordinating colored envelope. 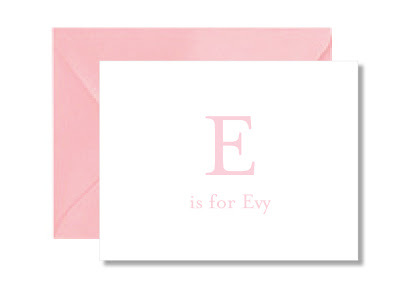 "Now I know my ABCs, next time won't you sing with me!" 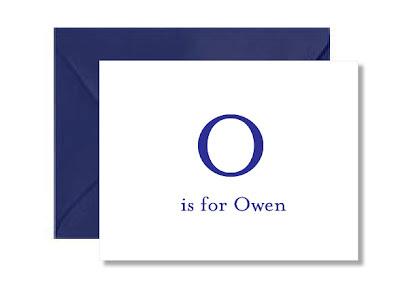 Great for little ones just learning the letters of their name. Available in a variety of colors. 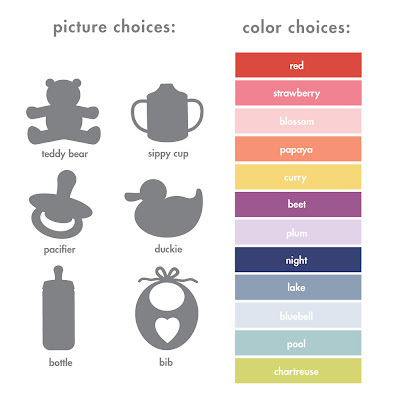 Please specify name & color when ordering.